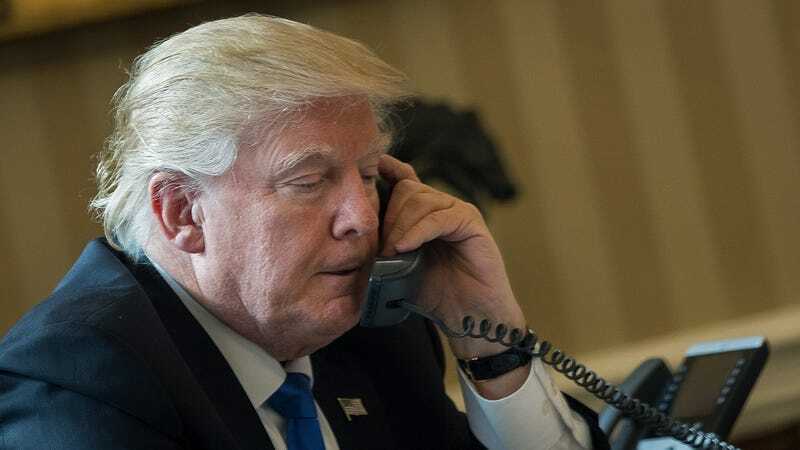 Remember the recent reports about how President Trump is still using his unsecured Android phone? Well, that situation just got scarier now that the White House’s chief information security officer reportedly no longer has a job. It’s unclear if Cory Louie, an Obama appointee with extensive experience working on security teams at places like Google and the Secret Service, got fired or simply quit. ZDNet reports that Louie “was either fired or asked to resign last Thursday evening, and was escorted out from his office in the Eisenhower Executive Office Building.” The news was first reported by The Atlantic’s Steve Clemons. Neither the White House nor Louie has commented publicly on what exactly went down. We’ve reached out to both parties for more details and will update this post if we hear back. Louie’s departure—not to mention the mystery surrounding it—is particularly worrisome, since he was in charge of making sure the White House remained safe against cyber attacks. Several other top security officials, including the first (and now former) Federal Chief Information Security Officer of the United States Gregory Touhill, resigned at the end of Obama’s presidency. This spells bad news now that we know now more than ever that the United States government is vulnerable to cyberattacks, if only because the intelligence community claims that Russia hacked into the Democratic National Committee to help Trump win. It’s unclear if Louie has been replaced with a new chief information security officer. It’s also unclear if President Trump knows what that job title means.